What is difference between View and Materialized View in Database or SQL? Difference between View and Materialized view is one of the popular SQL interview questions, much like truncate vs delete, correlated vs noncorrelated subquery or primary key vs unique key. This is one of the classic questions which keeps appearing in SQL interview now and then and you simply can’t afford to learn about them. Doesn’t matter if you are a programmer, developer or DBA, these SQL questions are common to all. Views are a concept which not every programmer familiar of, it simply not in the category of CRUD operation or database transactions or SELECT query, its little-advanced concept for the average programmer. Views allow a level of separation than an original table in terms of access rights but it always fetches updated data. Let’s see what is View in the database, what is materialized View and the difference between view and materialized view in the Oracle database. Views are a logical virtual table created by “select query” but the result is not stored anywhere in the disk and every time we need to fire the query when we need data, so always we get updated or latest data from original tables. Performance of the view depends on our select query. If we want to improve the performance of view we should avoid using join statement in our query or if we need multiple joins between table always try to use the index based column for joining as we know index based columns are faster than a non-index based column. View also allows storing the definition of the query in the database itself. Materialized views are also the logical view of our data-driven by the select query but the result of the query will get stored in the table or disk, also the definition of the query will also store in the database. When we see the performance of Materialized view it is better than normal View because the data of materialized view will be stored in table and table may be indexed so faster for joining also joining is done at the time of materialized views refresh time so no need to every time fire join statement as in case of view. 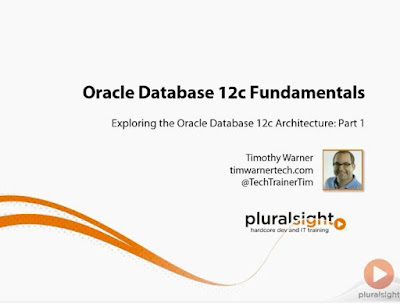 See Oracle Database 12c Fundamentals, a free online course from Pluralsight to learn more about how Oracle database stores Views. 1) The first difference between View and materialized view is that In Views query result is not stored in the disk or database but Materialized view allow to store the query result in disk or table. 2) Another difference between View vs materialized view is that, when we create a view using any table, rowid of view is same as the original table but in case of Materialized view rowid is different. See Oracle PL/SQL Programming: Covers Versions Through Oracle Database 12c for more details on materialized view in Oracle. 3) One more difference between View and materialized view in the database is that In case of View we always get latest data but in case of Materialized view we need to refresh the view for getting latest data. 4) Performance of View is less than Materialized view. 6) Last difference between View vs Materialized View is that In case of Materialized view we need an extra trigger or some automatic method so that we can keep MV refreshed, this is not required for views in the database. Mostly in an application, we use views because they are more feasible, only logical representation of table data no extra space needed. We easily get a replica of data and we can perform our operation on that data without affecting actual table data but when we see a performance which is crucial for a large application they use materialized view where Query Response time matters. So, Materialized views are used mostly with data warehousing or business intelligence application. That’s all on the difference between View and Materialized View in database or SQL. I suggest always prepare this question in good detail and if you can get some hands-on practice like creating Views, getting data from Views then try that as well. How to find second highest salary in Oracle using row_number? How to write pagination query in Oracle 12c database? I would like to know if Materialized views occupy more space than the normal views? Hi Sushmita, Yes it does. Since materialized views are stored with data in disk obviously they occupy more space. Normal view doesn't store any data just definition, data always remains with corresponding table. create materialized view MV_V as select * from emp. you can't use SELECT * ,, Instead you need to define column name and for table name need to use schema..
What are the refresh methods in materialized view ??? refresh fast - it will only the changes. (requires the materialized log file to be created on the source table to record the changes. refresh complete - it will truncate the full table and reload the complete data in the view. refresh on commit - it will refresh the data as soon as any commit happens in the parent table. ----it is not advisable as well as not recommended. refresh on demand - it will refresh the data based on our choices. Can I update view and materialized view ? View Produces udpated reply every time you execute the view, where as you need to extenally update the materalised view to get the updated data of basetable. Please note that materalised view can be auto updated for this we have to define auto update at time of Materalised view declaration. A materialized view is a database object that contains the results of a query. 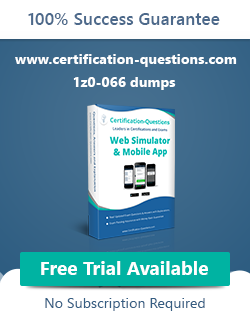 They are local copies of data located remotely, or are used to create summary tables based on aggregations of a table's data. can we create index and trigger on both normal and materialized views. View is a database object and also views are used to we can store data from table.views created on tables Oracle having the following types of views these are. 3.in simplssviews having same roads of base table where as mview having different rowids when ever we are using refresh. Well said, thanks for adding value.